Blue cotton high rise tailored trousers from Barena featuring a waistband with belt loops, a button and zip fly, a cropped length and a dropped crotch. Navy blue cotton high-waisted tailored trousers from Barena featuring a waistband with belt loops, a button & zip fastening and side slit pockets. Navy blue cotton & linen high-waisted tailored trousers from Barena featuring a high rise, a button & zip fastening and side slit pockets. Military green cotton high-waisted tailored trousers from Barena featuring a waistband with belt loops, a button & zip fastening and side slit pockets. Navy blue wool blend woven tailored trousers from Barena featuring a front hook and eye fastening, two back buttoned welt pockets, a dropped crotch and a cropped length. Navy blue virgin wool slim-fit tailored trousers from Barena featuring a mid rise, a waistband with belt loops, a concealed front fastening, side pockets, buttoned jetted pockets at the rear and a regular length. Blue cotton slim-fit tailored trousers from Barena. Black stretch cotton slim tailored trousers from Barena featuring a waistband with belt loops, a concealed front fastening, side pockets, two back buttoned welt pockets and a regular length. 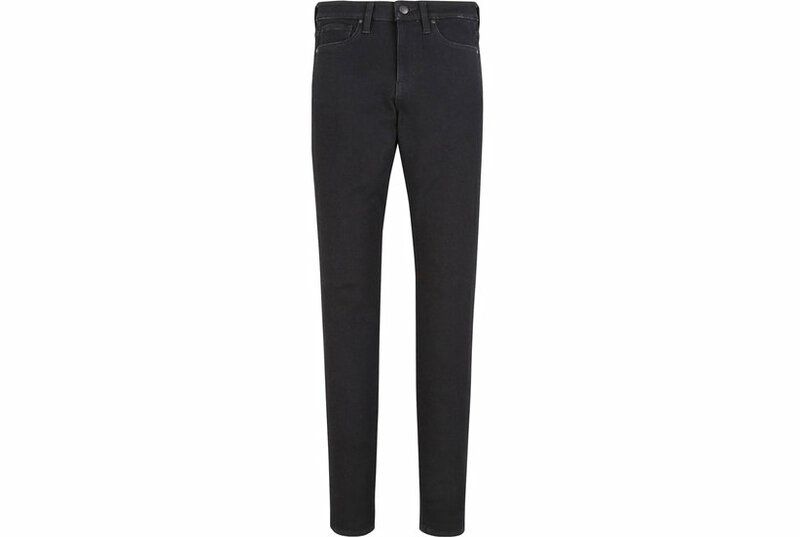 Navy blue stretch cotton high-rise tailored trousers from Max Mara Studio featuring a waistband with belt loops, a concealed front fastening, side pockets, a back pocket, a slim fit and a regular length. Green cotton high-rise tailored trousers from Pinko featuring a concealed front fastening, side pockets, side pockets, rear welt pockets, a straight leg and a regular length. Black cotton-blend high-rise tailored trousers from KRIZIA featuring a waistband with belt loops, a concealed front fastening, side pockets, rear welt pockets, a straight leg and a regular length.